I have an aversion to mirrors. My house has only a couple and I generally avoid looking at them—or rather at my reflection in them. It didn’t used to be this way. I can remember, for example, when those fun house distortion mirrors first appeared. A local restaurant where my family occasionally dined had one. Seeing my sisters and me in the mirror that made us look as tall as bean poles was better than any of the food we ate there. But somewhere along the way I stopped wanting to look and started avoiding seeing just how bad things are. You know, my hair is out of whack, probably frizzy or limp, or I don’t want to be reminded of the pesky wrinkles that have popped up, circling my eyes and my mouth. I guess there are times when less is more—that sometimes the flaws are just too numerous to want to look very long and so it is best to keep the viewing to a minimum. For years, my experience of the Bible was similar to that of mirrors: avoid at all costs. Sure, I had gone to college to study the Bible as a Religion and Philosophy student and subsequently earned two more degrees in Religion. Yet the Bible, for all of its original magnetism, had become a book I never read unless it was required. It wasn’t that my education had ruined the sacredness of this text; it was instead that the questions I had about it were seldom acknowledged in churches and Bible studies, places where I had hoped to find not only inspiration but also critical thinking. 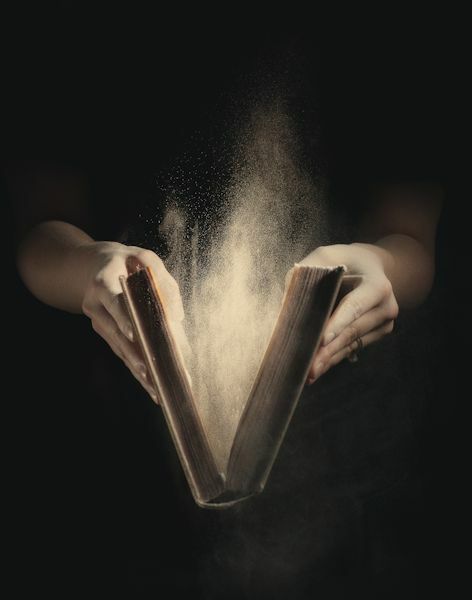 Too, I was finished with anyone who didn’t readily admit the Bible was a problem: it was patriarchal to the core, and if its message truly established sexism as God’s dream for the world, I was ready to part with God, too. Fortunately, one evening while roaming the shelves of a local bookstore I located books by an author new to me, someone who brought together with great clarity an historical-critical examination of the Bible with an eye for its inspiration: Marcus J. Borg. His book, Reading the Bible Again for the First Time: Taking it Seriously but Not Literally (HarperSanFrancisco, 2001), gave the Bible back to me and with it a relationship with God that had grown weary. While I only briefly rubbed shoulders with Marcus Borg in person at summer seminars at the Trinity Episcopal Cathedral in Portland, Oregon, he, more than anyone else, helped me to see this sacred text as a book of love despite its many flaws. Since 2001, I have read everything Borg wrote, including his most recent book, Convictions: How I Learned what Matters Most (reviewed here on CFT). Since his recent death, I have pored over Internet articles and posts. Often Borg is identified as a liberal scholar. Sometimes a person described as a liberal is dismissed as someone who is not “serious” about God or faithful living, as if critical scholarship and a life of faith are irreconcilable. And yet Borg, perhaps more than most academics, frequently talked about his experiences of God. In his final book, inspired by a sermon he preached on his seventieth birthday, Borg explained how his understandings of God changed over his life most clearly because of several mystical experiences he had. He remarked that the “central conviction” of his life was that “God is real,” ‘the more’ in whom we live and move and have our being” (pp.50-51). It was this conviction, evident in all of Borg’s writings, that initially drew me to pick up his book on the Bible, to trust his ideas as those born from the interactions of heart and mind. 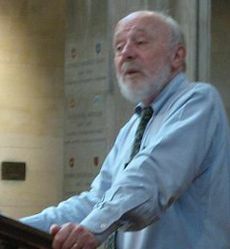 Marcus Borg speaking in Mansfield College chapel in 2009. Photo by Kaihsu Tai. Borg’s metaphor for reading the Bible is to see again, to examine how we have been taught to read it and then refocus our eyes in order to see the old familiar terrain in a new light. His invitation was transformative for me because I had become stuck in the old way of seeing the Bible, knowing that it no longer held hope for me, yet not really knowing what to do about it. The old vision involved reading the Bible literally and accepting Christianity as rightly patriarchal, including only masculine names and images for God. Too, there seemed to be few people who made distinctions between what the Bible said and what God intended. I’d grown tired of no one around me wondering what to do with images of Israelites massacring other people in the name of God or men oppressing women, claiming this is what it means to have a Christian household. As someone who had studied the Bible academically, I longed to explore these questions in church groups and Sunday school classes —even as no one else seemed to find these issues even slightly problematic. But Marcus Borg confirmed my questions were ones he, too, had worked through earlier in his life. In lieu of the old vision, he suggested reading the Bible as a sacred means to a deeper relationship with God, realizing it was never intended to be an end in itself and instead points, even only tentatively and with substantial flaws, toward God. The Bible, he said, was a product created by two ancient communities; it contained their responses to God. As such it “tells us about how they saw things, not about how God sees things” (Reading the Bible Again, p. 23). 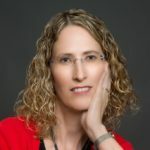 While there are several helpful implications from seeing the Bible as a human response to divine initiative, the most important was that it enabled me to recognize multiple voices within the Bible and to examine how their perspectives changed over time. The way Jesus interacted with and treated women was not the same as how later authors of the New Testament saw women. I could understand how the egalitarian vision of Jesus diminished as the Christian movement grew and changed. 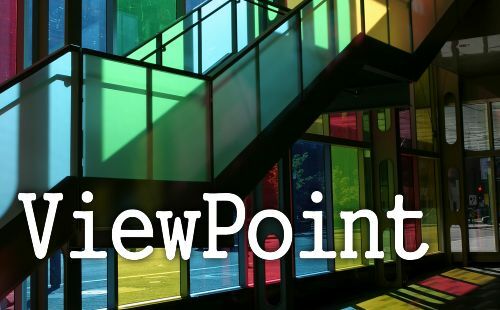 What once included all people (women and children, beggars and the sick), before the closing of the New Testament canon became a movement of men, a developing hierarchy: a noticeable shift away from the all-inclusive embrace of Jesus. There were different voices, claiming different things. None represented the voice of God per se. All were responses to God conditioned by their own biases and situations. In the midst of these conflicting claims, Borg helped me embrace my ability to distinguish between these voices and to exercise my interpretive muscles. With time and deeper study I came to see the stark contrast of messages in the New Testament about women: Jesus never making gender distinctions while many of the later epistles did. In the face of downright contradictions, I learned to take a stand, giving greater weight to how Jesus lived and less to the authors of the letters who made accommodations to their cultures by moving away from the radical justice seen in Jesus. Even though years earlier I had learned the technical insights Borg used, his books enabled me to move beyond the bifurcation I had felt of studying the text for academic purposes versus doing so for devotional value. By seeing the Bible as a human response to God, my heart and my head came together in meaningful dialogue. God was no longer on trial for creating and promoting sexism. People in the name of God had done this and I could see they had made a mistake, one we all make because we are inexorably shaped by cultures and environments. I became more gracious toward these biblical authors seeking to understand the challenges they faced, knowing it is not easy to work for justice, especially if lives are on the line. I had the liberty to think they may not have gotten it right, at least not all of it. They were human, after all! No doubt we all mess up all the time; it is a fundamental reality of life. And just as you and I don’t understand all there is to know about God, they didn’t, either. That the Bible contains their attempts doesn’t make their stories more unique or more—or less—godly than ours. Despite what they saw or how they made sense of God, by viewing their experiences as human responses, I could trust they were genuine, even when their attempts harmed me and countless others. How could they have understood the future anymore than we can? When I examine my failures and limits, I realize they were no different. I returned to the diverse voices and what they said about women. In the gospels I saw Jesus’ equal treatment of women while in the writings in 1Timothy, I noted a community struggling to survive in a patriarchal world, unable to sustain its earlier vision. Even as Jesus called all people to follow him, never making special accommodations for women or suggesting they were inferior to men, 1 Timothy clearly restricted women: what they should do, how they should dress, and instructing them to learn in silence and submission and not to teach or have authority over men. Then they would be saved through childbearing if they continued in faith and love and holiness. The Gospels and 1 Timothy could hardly be any more divergent. I used to be angry with the author of 1 Timothy; angry with those who thought it good to include such nonsense in our sacred text; and angry with those who use it today to silence and oppress women. To relieve my anger, I dismissed all of the “problematic” passages. It was as if my Bible did not include anything past John’s Gospel. However, once I began to see these passages as evidence of a human response to God and therefore anchored in a specific time and place, I could believe these documents to be sacred, to be part of God’s grand story, eliciting within me a more faithful response. With time, my earlier negative judgments of the Bible’s sexism began to shift. Instead of seeing Scripture as hopelessly flawed by its patriarchal preferences, I began to envision its multiple voices as witnesses to the Spirit’s work, uneven and incomplete, but at times calling me to soar beyond my previous limits, to become untethered in my response to God’s call. I also began to realize that while the early church had regressed from Jesus’ example, their move away from his justice did not need to be mine, nor does it need to be ours. Instead, we can choose to embrace the radical equality of Jesus just as we can learn from those who chose a different way. Marcus Borg taught me how to use troublesome passages in the Bible and to see the whole of it—as wonderful and terrible as it is—as a sacred response to God. I no longer need to avoid looking at its flaws as I do with my image in the mirrors in my home. The Bible’s pages reveal whispers of the Spirit, glimpses of vistas where justice reigns, and winding valleys where our ancestors never seemed to find their way out of the muck. Its holiness lies not in its perfection but because it assists us in finding our way—however circuitously—to God. We are called to continue the story, to write our part of the narrative, taking over where the ancient communities left off. Because of the wisdom and writings of Marcus Borg I have learned to read the Bible again, trusting its voices to illumine the path Home. For that—and his witness—I am eternally grateful. Thank you, Jann and Catherine, for your kind comments. It is deeply gratifying when something you write touches a chord for someone else and I am appreciative that you’ve let me know this happened for you. Catherine, if you are interested in more, Borg’s book on the Bible is the best there is! I hope you’ll pick it up when you have some extra time. Finally, someone who articulates the struggles I have been having for years….I no longer feel like a fish out of water! Thank you Kendra for sharing and giving hope to someone who is struggling to understand the Bible and Christianity overall in light of the patriarchial tone. I am looking for a church home where they “get” my concerns and my unwillingness to accept the status quo found throughout the Bible – that women are second class citizens. I am glad I stumbled across your blog and will check out Mr. Borg’s writings! Thanks for your note and for sharing your concerns, too. It can be such a struggle! I think you will find Marcus Borg a helpful companion in your searching and perhaps you will also find the EEWC-CFT community here of help as well. I know they are a strong source of inspiration for me.